BANGKOK (Reuters) - Thailand has seen two coups, dueling street demonstrations and political instability over most of the past two decades, much of it centered around the divisive figure of Thaksin Shinawatra. Southeast Asia's second-largest economy is preparing for a general election on Sunday, the first since a 2014 coup. 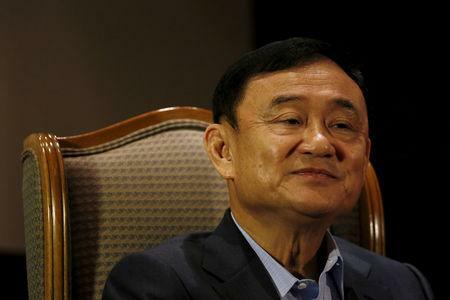 2006 - An anti-Thaksin protest movement, the People's Alliance for Democracy, gains momentum after the Shinawatra family sells its telecommunications firm, Shin Corporation, to Singapore sovereign fund Temasek for 73 billion baht ($1.8 billion) tax-free using a capital gains loophole. Protesters also point to issues of conflict of interest. In September, a court removes Samak from office for accepting payments for a cooking show he hosted. Parliament elects Somchai Wongsawat, Thaksin's brother-in-law, as prime minister. "Yellow Shirt" protesters calling for the removal of Somchai descend on Bangkok's Suvarnabhumi and Don Muang airports in November, closing them for over a week. The protesters disperse after the Constitutional Court dissolves the People's Power Party over a voter fraud case, removing Somchai as prime minister. 2009 - Pro-Thaksin demonstrators led by the United Front for Democracy Against Dictatorship, also known as "Red Shirts", begin protests against Abhisit's government, calling it unelected and illegitimate. In April, protesters storm the site of an East Asia Summit, forcing leaders from Southeast Asia, China, Japan and South Korea to flee from the venue. 2010 - The Red Shirt protests paralyze Bangkok for months until a military crackdown, in which at least 90 people are killed, the deadliest clash between protesters and security forces since 1992. On May 22, army chief General Prayuth Chan-ocha stages a coup and a junta, the National Council for Peace and Order, seizes control. In August, Prayuth becomes prime minister and later retires as army chief. 2016 - King Bhumibol Adulyadej dies on Oct. 13 after a 70-year reign. His son becomes King Maha Vajiralongkorn.